An innovative restaurant serving a colorful menu of small plates, craft beer, fine wine-on-tap, and specialty cocktails designed to inspire connectivity. 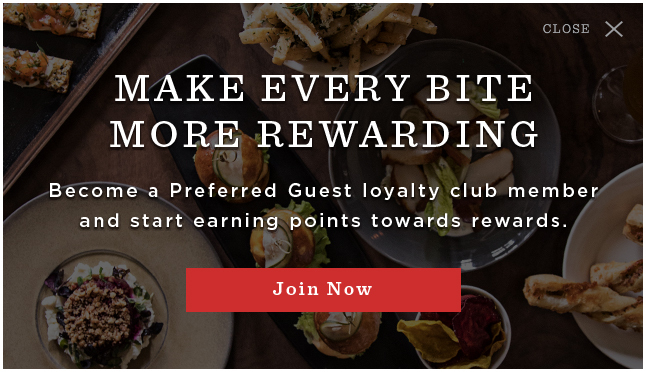 Sign up for our Preferred Guest loyalty club and earn points towards rewards every time you dine at Chroma Modern Bar + Kitchen or any Tavistock Restaurant Collection location. 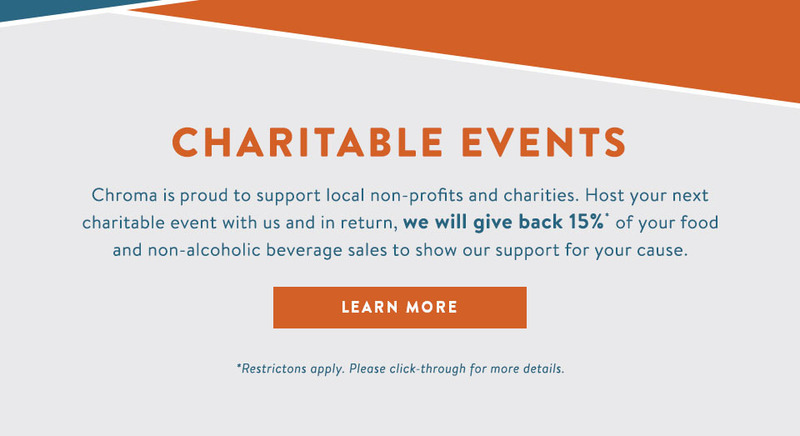 Plus, receive special offers, event invitations and membership benefits throughout the year. 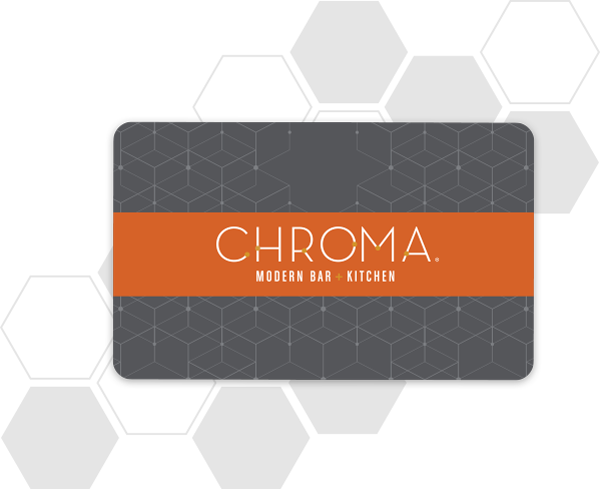 Share a Chroma dining experience with someone special. Purchase a traditional or electronic gift card by choosing a pre-set amount and personalizing your own message. Happy Hour Weekdays 3:30 p.m - 6:30 p.m.